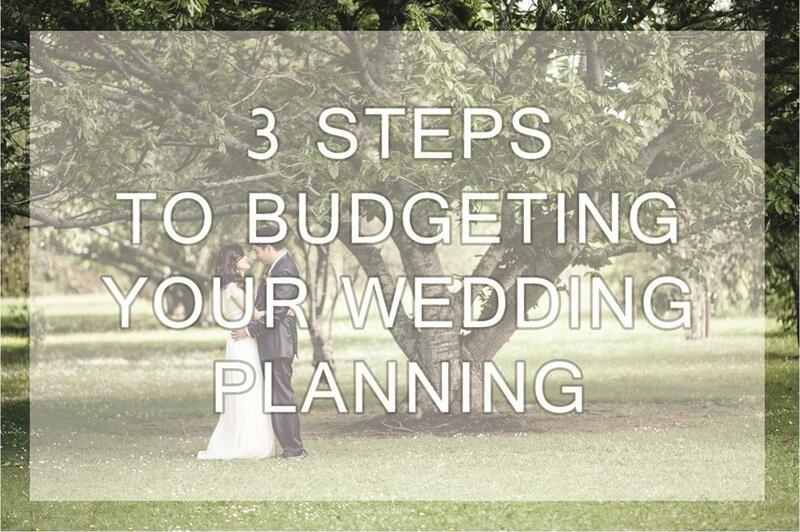 When planning your wedding, setting your budget should be the very first task you undertake. So many times, couples start booking suppliers without any real thought into how much it's all going to add up to. The problem with this is, you might not have enough budget for every element you will need to make your day successful. These are 3 steps to setting your budget and why they are so important. The average spend of a New Zealand wedding is $35,000. Some spend less than that and others much, much more. Budget is just as important to those spending $10k than it is for those spending 100k. You need to consider how much you can actually afford and what you are prepared to spend. Breaking down a budget can seem like an impossible and daunting task for couples. Wedding planners can do this quickly because they know the average market costs and what is realistic. As a newbie to wedding planning, you could easily break down your budget incorrectly and end up with unexpected costs or misguided prices. Be wary of budget breakdowns you find online because every supplier is different and every location is different. Your best bet is to research local companies that you are interested in and glean prices from their websites or better yet, call them for a quote. Be careful too of those online prices, they could be the 'starting from' prices, may not include extra fees/gst, or not completely cover the goods or services you were expecting. This step may take some time but will be well worth it in the end. Your wedding will likely go over budget, in fact 9 times out of 10 it does. As you go through the planning process you will find elements that become ‘must haves'. Make sure you have the extra funds to cover any unforeseeables, when first setting your budget. Most couples find they go at least 10-15% over budget. Remember that suppliers in the wedding industry, are normally there for the love of the job. By all means, ask them how you can cut costs by swapping salads with your caterer, or having your wedding on a different day to get a cheaper rate at your venue. Expect to get what you pay for and beware of unusually cheap vendors. We recommend researching and comparing costs, to ensure you are not being overcharged. Understand that some things will cost more than you expect. For example cakes are expensive (when comparing to what you can buy at your local supermarket), but rightly so, the quality ingredients and the hours it takes to create these masterpieces, warrants the price. Check out our Wedding Planning Service here.